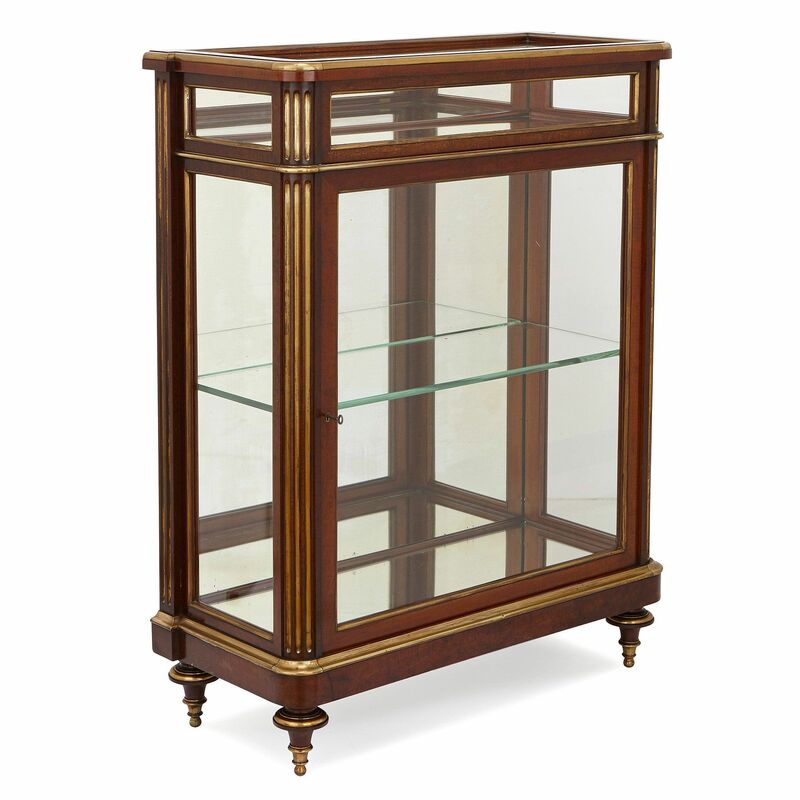 The simple elegance of these beautiful antique French vitrine cabinets makes them ideal for the display of jewellery, trinkets and other precious wares. 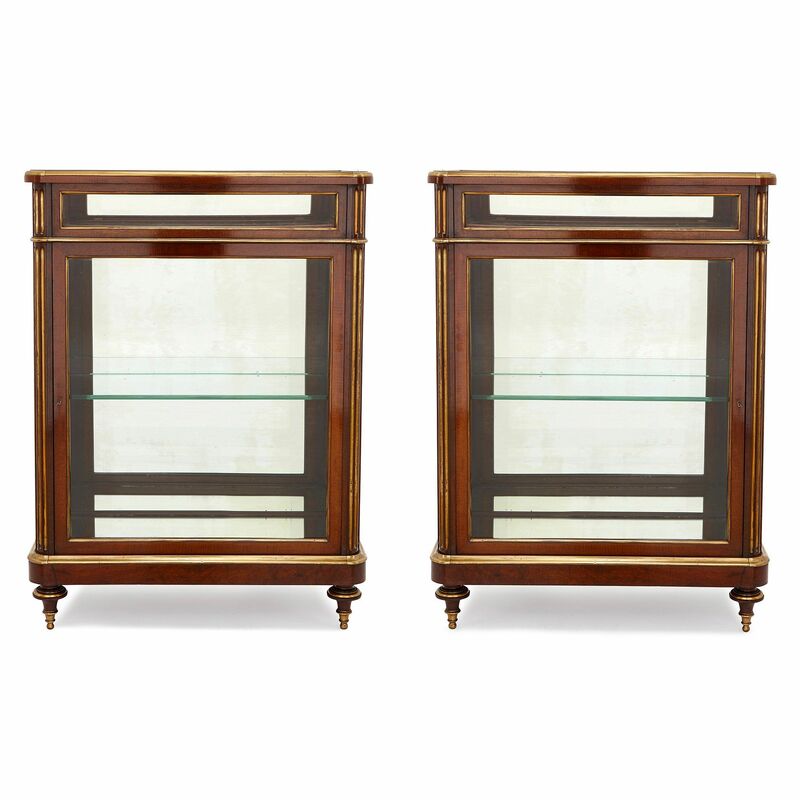 These exceptional cabinets date from the late 19th Century in France, when they would have been used for the display of bijouterie, or precious jewellery. 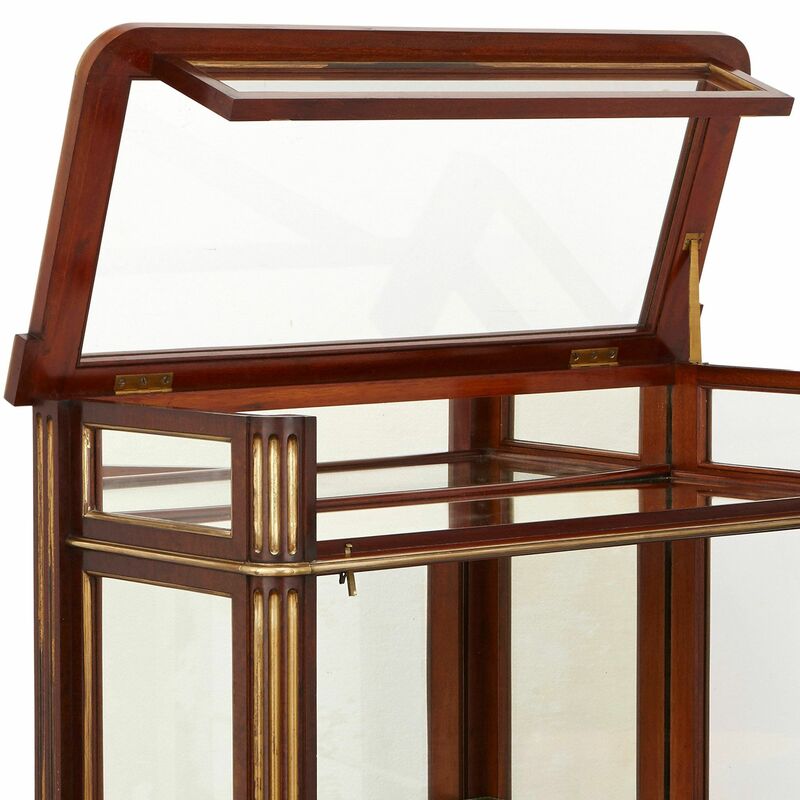 They contain glass panels on all sides, including the top, and so their contents can be viewed from all angles. 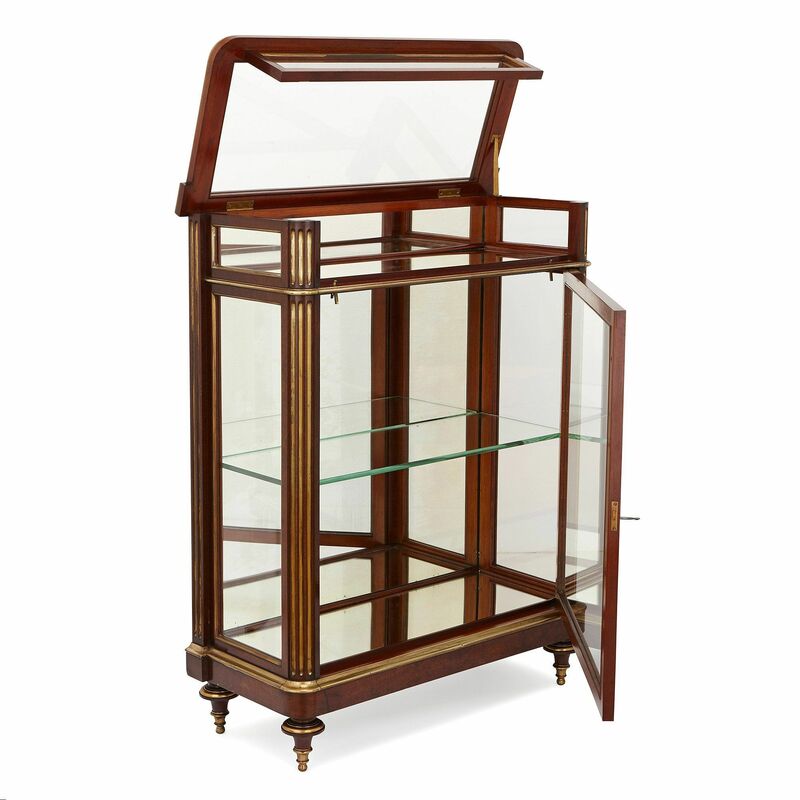 The lower tier of each vitrine is fronted by a glazed cupboard door, which opens to reveal one interior glass shelf with mirrored panels to the back and base; while the upper tier is enclosed by a hinged top and contains one mirrored panel at the base. 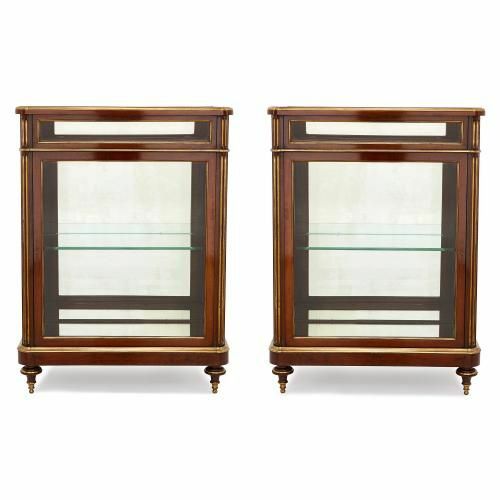 These mirrored panels reflect perfectly to give each vitrine the brilliant illusionary effect of appearing larger than it is. 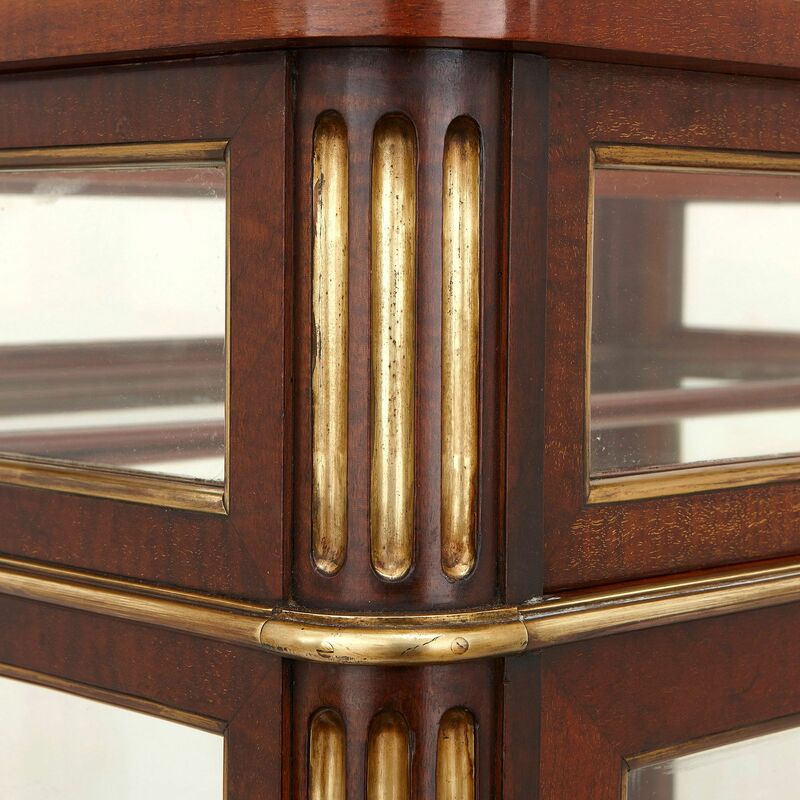 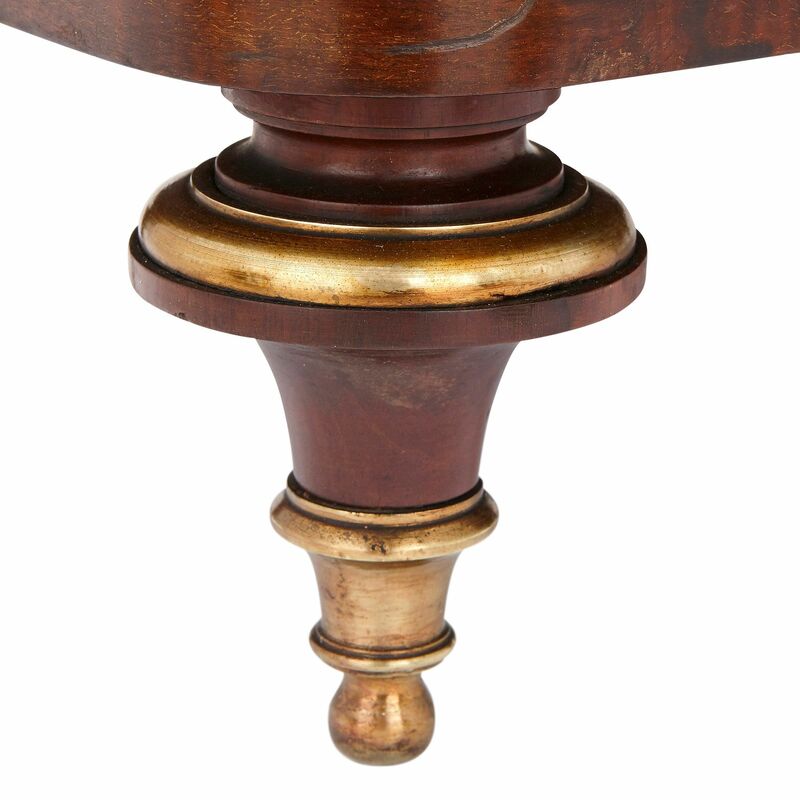 Each vitrine is mounted with brass along its fluted corners, upper rim and base, and is set on four toupie feet.